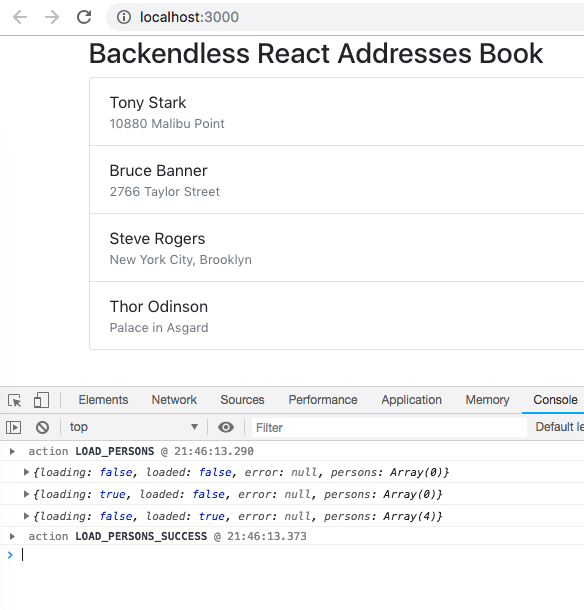 In this article, as was the case with our Angular series, we will start by creating a new Backendless App and building a simple React app. 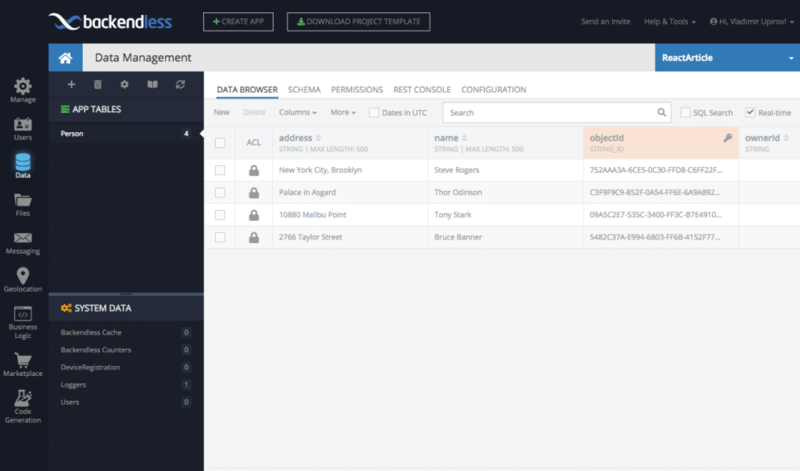 Our demo app will be an Address Book app, so to get started we will show how to load and display some data from the server. In the future, we will modernize the application by adding more functionality. Continuing our old tradition, before we get going let’s make sure you have a Backendless account. 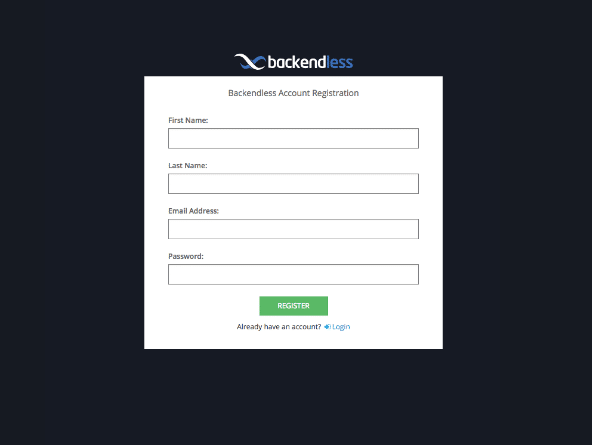 If you don’t have on already, just register for new free account at https://develop.backendless.com. 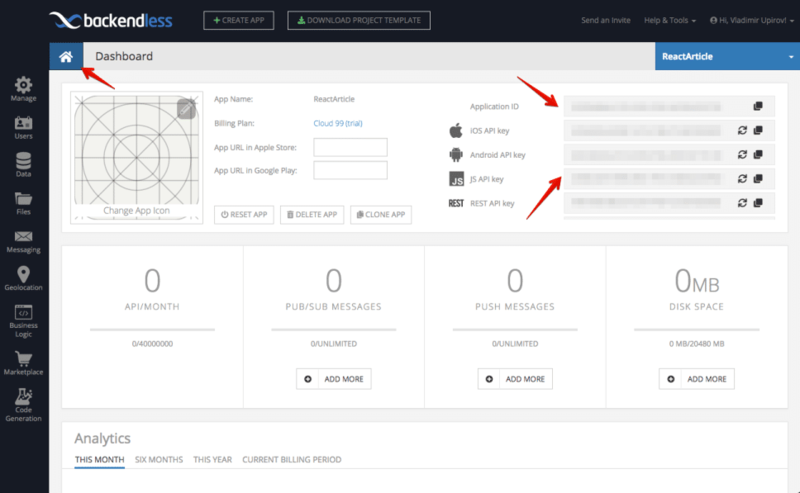 Now let’s create a new Backendless App. I will call my app “ReactArticle”, but you can choose any name you wish. That’s it, very easy, right? For styling in our app, we will use the Bootstrap framework. This will give us a high-quality and modern “look and feel” and it can be injected into the app very quickly. Also, you can remove the App.css file as we don’t need it anymore. Right now our app is very primitive, but in future it will be more complex so it’s time to add a central storage for sharing data between app components. To do this, we will use React-Redux. Immutable store – Store is just a plain object and passes complex values by link, so be careful not to modify store values directly in components. Instead, always do it with calling actions. Actions – Actions are commands for store modification. Each action has a unique type and may have some additional data, and according to action type and action data reducer, may change the current state of store or do nothing. It depends on your code in your reducers, which we’ll discuss more later. Reducers – Reducers are functions that are called each time you fire a store action. Reducers accept the current state of the store and action object and return a new state object or may just return the current state without any changes. Selectors – Selectors are functions-shortcuts that help you get needed data from store. Selectors are very helpful when you’ve got a big store with a complex structure. Now we are going to copy/paste some code. We will explain why each folder/file is needed as we go. This is the re-export actions/selectors and createStore function. Here we will configure app store and, as you may have noticed, there is some apiCall middleware which is needed for processing async actions. We will come back to the middleware a little bit later. In this file, we will keep all of the action types and, to make it cleaner, we have mirrorKeys function. With the mirrorKeys function, we don’t need to duplicate the action type value as the function does it for us. At the end the file, we will export an object where key and value are equal. This will re-export all of the actions for quick access in components. In this file, we will keep all of the actions related to the Persons data. For now, we only have actions. This is because we will load our persons from the server, which means we will have an async function and that should cover all states. This is possible because of the apiCall store middleware that we have in the ./store/create-store.js file. Here we combine the app root reducer and define store selectors for quick access to store data. 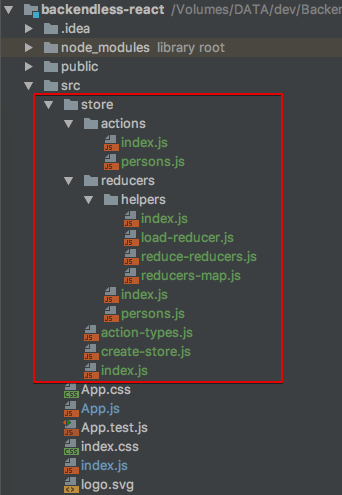 Some may recommend locating store selectors in a separate file/directory, but I prefer to have them with the reducers. Here is the actual persons reducer. Thanks to both reduceReducers and loadReducer helpers, the reducer is as small as it is. In short what is happening here is that each time we load persons, the “list” array will be replaced with a new one from the server. And finally in the ./store/reducers/helpers directory, we add helper functions for reducers. These help us keep our reducers more compact and readable, as you may have noticed in the persons reducer. As you can see, we didn’t do any additional steps to setup schema for the Person table, but there are two columns “name” and “address” automatically. That’s because we have enabled dynamic schema definition by default, so when we saved our dummy person objects in the REST Console, the server automatically created the two columns for us. 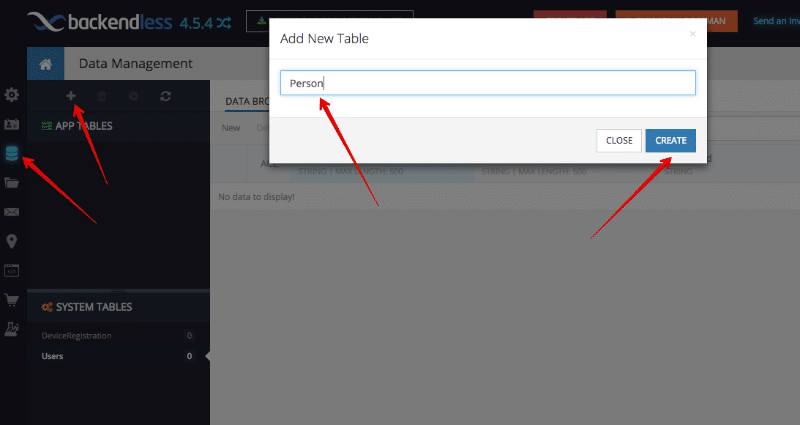 It’s a great feature for development, but for production we recommend switching off the option so your tables don’t get modified unintentionally. Did you catch it? I made a typo while writing Backendless.Data.of('Person').find() : instead of “Person” I wrote “Persons”, but since there is no table with name “Persons”, we see an error in our browser where our app is open. Error handling works perfectly! That’s cool, isn’t it? This is where we will break for today. 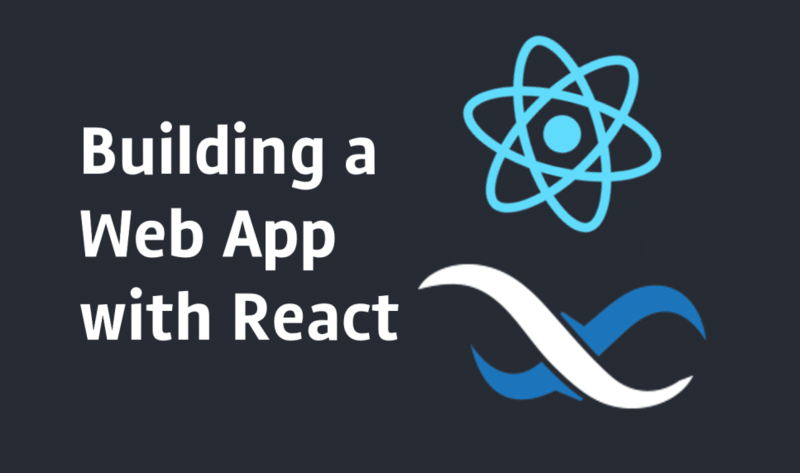 In this first part, we got a good foundation for our app, built basic app structure, setup application store, and now we know how to load data from Backendless and display it in our React app. In the coming articles in this series, we will add more functionality and we’ll use the real-time database functionality of Backendless.